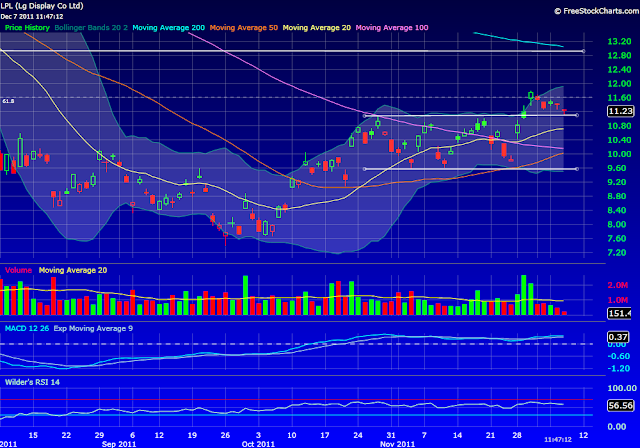 LG Panel (LPL) broke out last week and hit a high of 11.78 on Nov 30. It's currently testing the 11.00/11.25 breakout level this morning. If this support holds look for a retest of 11.78 and eventual break to new highs. Target 13.00.